Novanex Inc. is located at 675 US Highway One, North Brunswick, NJ 08902. 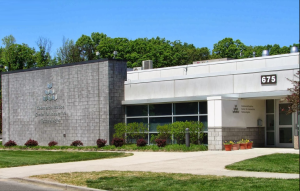 Our laboratory is one of the modern biotech modules in the New Jersey state-owned Commercialization Center for Innovative Technologies, located within the Technology Centre of New Jersey. The laboratory occupies about 1,000 square feet of floor space, and is equipped with Class 10,000 clean room for GMP manufacturing of clinical trial materials and device prototypes. Novanex is one of 30 life-science companies residing in this science park.